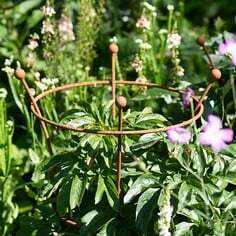 This linked arch design incorporates the contemporary Square and Ellipse Garden Arch designs together to create a stunning garden feature. 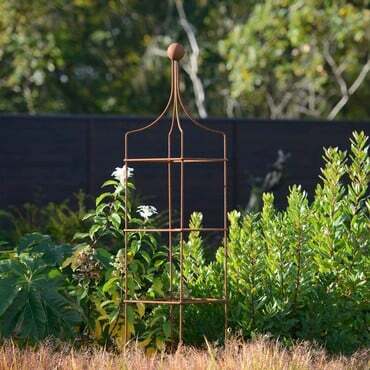 The Harrod Square topped Garden Arch design with its clean and simple lines brings a very modern, sleek focal point to small or large spaces. 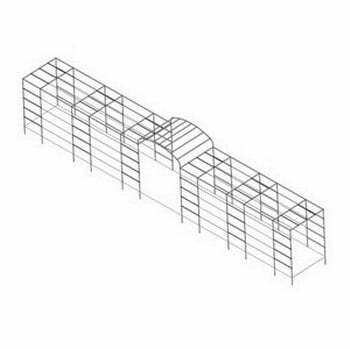 This design uses six arches (our bespoke design service can include any number of arches) linked together with galvanised steel wire and steel gripple tensioners. 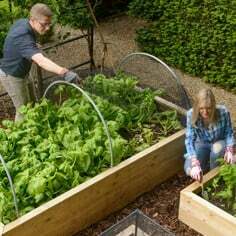 The walkway can be accessed from both sides by the bisecting Ellipse Garden Arch, postioned half way down the tunnel. 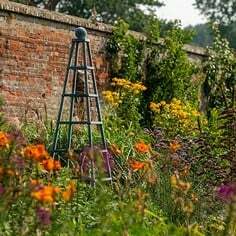 With its flatter profile, the Ellipse Garden Arch looks particularly impactful over wider spans to show off a generous canopy of colour provided by fragranced climbers. This linked arch design incorporates the contemporary Square and Ellipse Garden Arch designs together to create a stunning garden feature. 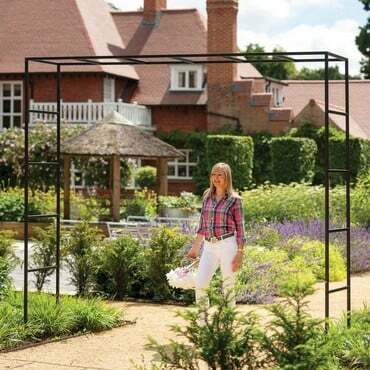 The Harrod Square topped Garden Arch design with its clean and simple lines brings a very modern, sleek focal point to small or large spaces. 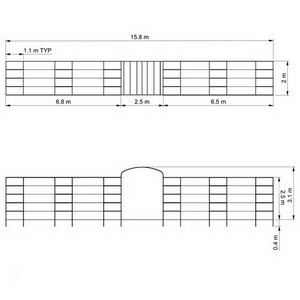 This design uses six arches (our bespoke design service can include any number of arches) linked together with 2mm galvanised steel wire and steel gripple tensioners. The walkway can be accessed from both sides by the bisecting Ellipse Garden Arch, postioned half way down the tunnel. With its flatter profile, the Ellipse Garden Arch looks particularly impactful over wider spans to show off a generous canopy of colour provided by fragranced climbers. 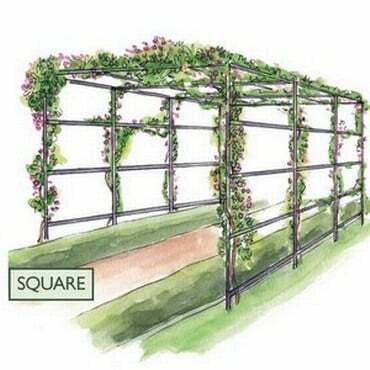 The Harrod Square and Ellipse Garden Arches are particularly suited for climbing ornamentals, vegetables and fruit trees and the multiple arches in this design can be used to create a stunning tunnel effect, sure to be a real garden focal point. 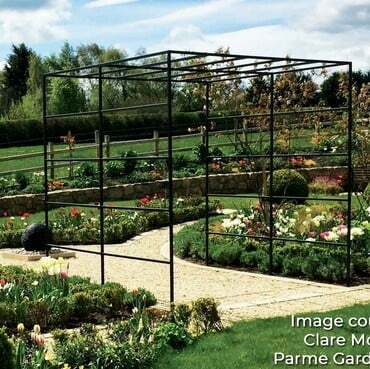 With the top quality materials used in this steel garden arch system, you can be sure it will be around for years! 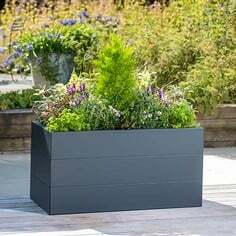 As well as the pre-galvanised extra strength 1.5mm thick x 25mm square steel with a matt black powder coated finish, the RHS endorsed Square and Ellipse Arches boast flush fitting plastic-capped steel connectors and black stainless steel bolts. 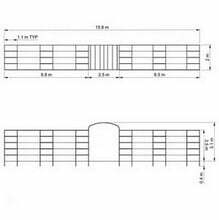 This design is 2m wide and 15.85m in length, the bisecting Ellipse Arch is 2.5m wide and the square arches span 6.5m either side of the Ellipse Arch. Each Square Arch is 1.1m deep and the walkway is 3.1m high. 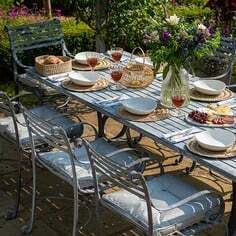 The arches are linked with 2mm galavanised steel wire and this design has 44 steel gripple tensioners. 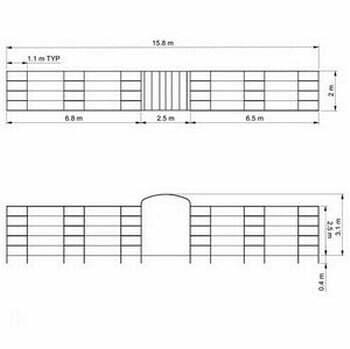 Other width, height and depth options are available, from 1.0m wide to 3m wide and heights from 2.13m up to 2.50m, you'll have no problems spanning a pathway or bed. 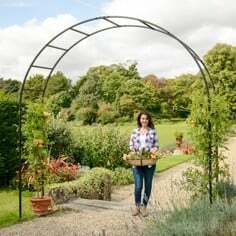 Like the other stunning Harrod garden arch designs in our range the square and ellipse garden arches are designed to be installed directly into the soil (we've provided an additional 40cm on each upright to secure into the ground along with optional floor fixing pins). 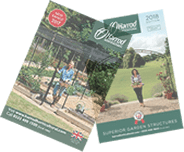 With that RHS endorsement and a 10 year structural guarantee behind it, you can be sure the Square linked arches with bisecting Arch design will prove to be a valuable and long lasting focal point in your garden. 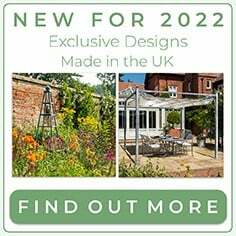 We are here to help with your Garden Arch Project and can offer a complete Made to Measure Service if you can't see the ideal size for your garden or require a Quote for a linked Arch System.